While its own saucer section receives needed repairs, the U.S.S. Enterprise tests a new experimental saucer. In theory, the new saucer can survive a planetary crash landing, but will it come through intact under genuine test conditions? 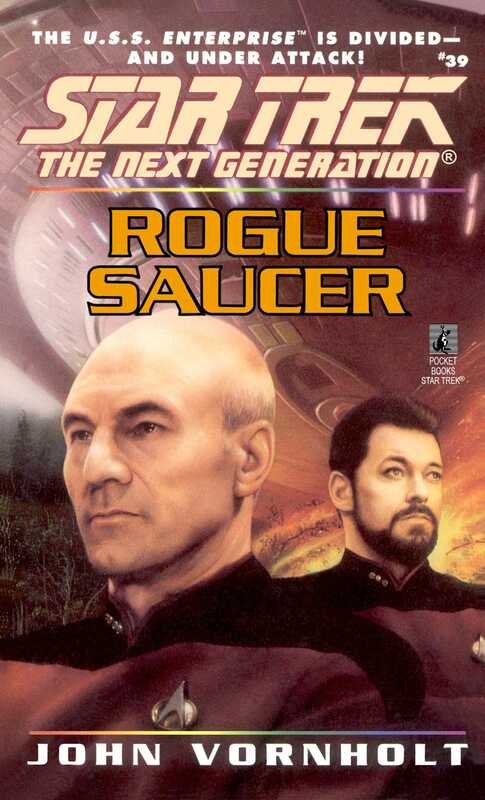 Riker, Data, Worf, and La Forge risk their lives to find out, and so does Admiral nechayev of Starfleet. But a dangerous test turns even more deadly when hostile forces seize control of the saucer --and turn it against the Enterprise.